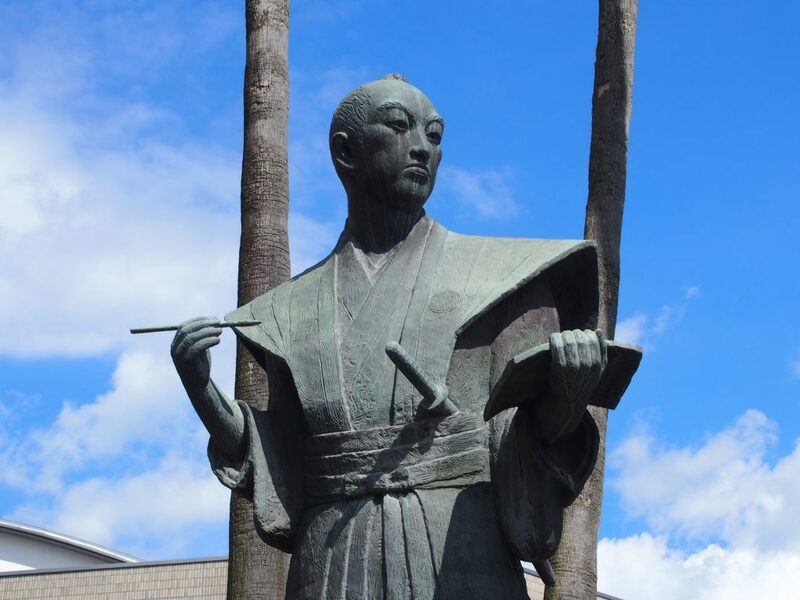 Statue of Komatsu Tatewaki (Kagoshima City) Great Contributor to Meiji Restoration | Kagoshima Love! Statue of Komatsu Tatewaki stands face to face with that of Saigo Takamori. I think that many people see only the statue of Saigo Takamori, but I hope many people drop by this place when you come to see the stature of Saigo Takamori. 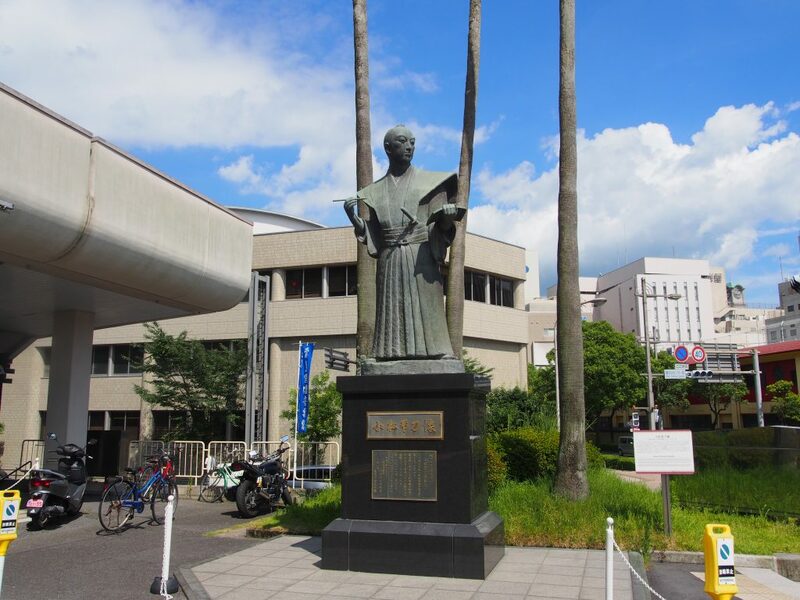 There is a stature of Komatsu Tatewaki (1835-1870）in front of the entrance gate of Hozan Hall. Unlike Saigo, Komatsu wears a traditional Samurai clothes. He is also a great contributor to the Meiji Restoration and modernization of Japan. The stature of Komatsu is just in front of that of Saigo. Please refer to the following video so that you can understand the positions of those 2 statues. Komatsu was 8 years younger than Saigo Takamori, but was a supervisor to Saigo Takamori. Saigo deliberately lay himself in front of Komatsu in order to know what kind of person Komatsu like. I think many people would be angry with Saigo if they were Komatsu. But Komatsu did not get angry. Komatsu ordered his follower to prepare a pillow for Saigo. Saigo admired the personality of Komatsu and immediately apologized for his impolite behavior.